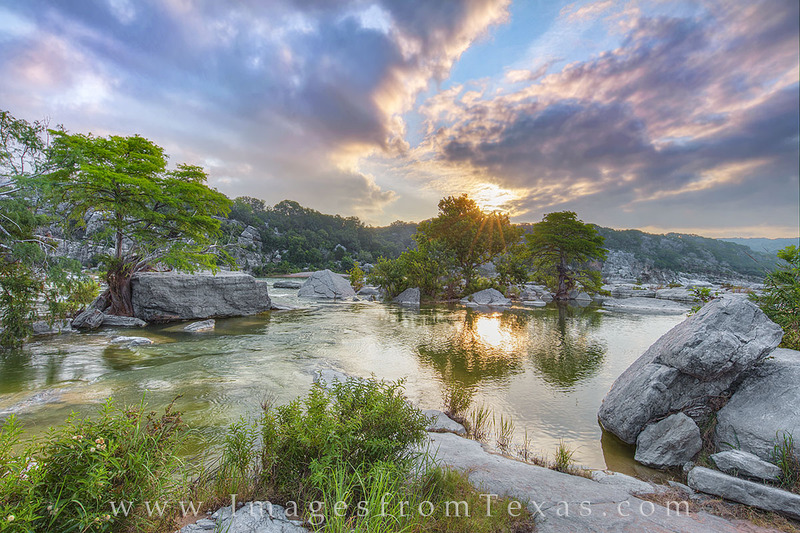 The sun breaks through the clouds and over the cypress along the banks of the Pedernales River. On a mostly cloudy morning in the Texas Hill Country, there was just enough open sky to let the sunlight fill the river valley at sunrise. Photo © copyright by Rob Greebon.